Literally everything you ever wanted to know about the BA Amex 2-4-1 voucher, in one article! I get quite a few emails each month about various aspects of the British Airways American Express 2-4-1 voucher, both about how to earn it and how to use it. I wanted to clear up some of the more popular questions in this article. We first ran a version of this a couple of years ago but I’ve expanded and updated it to reflect where we are in 2018. The sign-up bonus on the free card is 5,000 Avios and earns 1 Avios per £1. Representative APR 22.9% variable. The sign-up bonus on the £195 Premium Plus card is 25,000 Avios. The card earns 1.5 Avios per £1. Representative APR 76.0% variable including £195 fee based on a notional £1200 credit limit. The key thing to know is that, whilst both cards offer a 2-4-1 voucher, it makes no sense to earn the voucher on the free British Airways card. You should focus on the Premium Plus card instead. I will explain why later. What does the 2-4-1 ‘companion voucher’ do for me? It allows you to book two Avios redemption seats for the points of one. You can instantly see the savings available here – up to a maximum of 400,000 Avios in the unlikely event you were able to find two First Class return seats to Australia! Even on the worst possible redemption – an off-peak economy return to Paris – you would save 8,000 Avios points. In reality, most people use them for long haul redemptions in Club World, typically something like New York. That would save you 100,000 Avios on off-peak dates and 120,000 Avios on peak dates. Assuming you value an Avios point at 1p, the 2-4-1 voucher would be worth £1,000 to £1,200 for such a trip. This makes it easily the most valuable perk of ANY UK credit card (I ran the maths here).The £195 annual fee for the British Airways Premium Plus card is a small price to pay for this. How do I earn a companion voucher? You need to spend either £20,000 (on the British Airways American Express card) or £10,000 (on the British Airways Premium Plus American Express card) on qualifying purchases within a card year. Note this is ‘card year’ and not calendar year. Your card year runs from the date you are approved. The voucher will be added to your British Airways Executive Club account within a few days of the spending market being reached. The voucher on the free credit card is valid for one year. The voucher on the Premium Plus card is valid for two years. This is a very important difference as I will explain later, and the key reason why the Premium Plus card is better. You can only earn one voucher per card year irrespective of how much you spend on the card. This is where some people come unstuck, because they don’t understand the limitations of the voucher. It can only be used on British Airways services. You can’t use it on Qatar Airways, Cathay Pacific etc even though you can book such flights on Avios. It can’t be used on franchise or codeshare services. This means, for example, you can’t use it on the Comair-operated but BA-branded flights between Johannesburg and Cape Town. It CAN be used on ‘open jaw’ flights, where you return from a different airport, even though these can’t be booked online and require a call to BA. The only rule is that the distance between your arrival and departure airport must be shorter than either of the two flights. London – Johannesburg, Cape Town – London is fine. London – Moscow and Madrid – London is not. You need to book AND fly the outbound leg before the expiry date of the voucher. You can fly back at any point. There are no tricks you can use to extend the validity of the voucher. If you need to cancel a flight booked using a 2-4-1 voucher, you get the voucher back. The original expiry date remains the same. It CAN be used on one-way flights, but only for flights which depart the UK. You cannot book a one-way flight TO the UK with the voucher. The BA Amex cardholder MUST be one of the two travellers. There is no way to avoid this. If you are in a Household Account, the second passenger must be in the household account or on your ‘Friends and Family’ list. If you have two vouchers to use, they can be used together for the BA Amex cardholder and three other people. This is what we do for our family of four. This situation would occur if you triggered your voucher for the next card year before you had used the voucher from the previous year. You cannot change the name of the second traveller after booking. You would need to cancel the whole booking with no guarantee that the seats would be re-offered for Avios redemption. You cannot turn an existing Avios redemption into a 2-4-1 redemption with half of the Avios returned to you. Both passengers must travel together at all times. Despite what Amex tells you, you do not need to use the card to pay the taxes when you come to redeem your 2-4-1 voucher. You must use an American Express card but it does not have to be a BA one. What is the best way to secure the flights I want? British Airways makes 2 Club World and 4 World Traveller / Economy seats available on every flight. These become available at midnight 355 days before departure. More reward seats are usually made available closer to the date of travel – a lot more, on some routes – but if you absolutely must travel on a certain day you need to book 355 days out. This is the first reason why the voucher on the Premium Plus voucher is FAR more valuable than the voucher on the free card. Because of the two year expiry date, it is easy to use it for a trip 355 days out. You can’t do this with the voucher on the free card – it only has a one year expiry and the seats you want will already be past the 355 day mark. For a booking 355 days out, you should look to book your outbound flights on the day they become available. Do NOT wait until the return flights come up. You then call British Airways on the day that the return flights becomes available and add it to the booking. You should not be charged a change fee for this. If you must travel on a specific date, you need to call an open BA call centre (usually the US or Japanese ones, you can Google the numbers) on the stroke of UK midnight (or 1am during British Summer Time) as they do not appear online for an hour or so after being loaded. Yes. For infant (under 2) bookings you pay 10% of the Avios and 10% of the taxes of an adult passenger. No. Absolutely not. Reader experience also shows that you will still get your voucher back if you cancel a 2-4-1 redemption but no longer hold your BA Amex at the time of cancellation. Yes. Standard Avios change fees apply of £35 per person, plus of course the additional Avios. You may need to call BA to do this – I’m not sure if ba.com can handle this in conjunction with a 2-4-1. Why do you recommend the Premium Plus card over the free BA credit card if I want to use a 2-4-1 voucher? You earn an extra 0.5 Avios per £1 for your spending on the Premium Plus card (1.5 per £1 vs 1 per £1 on the free card). This offsets much of the fee. If you are capable of spending £20,000 on the free card to earn a 2-4-1 voucher, a far better strategy would be for you and your partner to get two Premium Plus cards and spend £10,000 each on those. You end up with two vouchers per year, each valid for 24 months, instead of one voucher per year valid for 12 months. Alternatively, instead of spending £20,000 on the free card, you could spend £10,000 on the Premium Plus card and use your next £10,000 of spend to hit sign-up bonuses on other credit cards. Oh oh. I have been working towards a 2-4-1 voucher on the free card and now realise my mistake. Can I upgrade to the Premium Plus card? Yes, simply call American Express. Your card year remains the same. If you have already spent over £10,000 in this card year, your 2-4-1 voucher will be triggered immediately. You will NOT get a sign-up bonus for upgrading as bonuses are only given if you have not had either BA Amex card in the previous 6 months. One quick warning …. 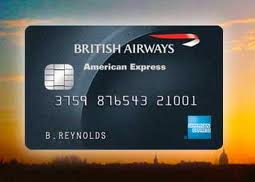 due to an Amex IT bug, if you downgrade to the free BA Amex after earning your voucher on the Premium Plus card, your online statement will say that you can earn a 2nd voucher (in the same card year) for hitting £20,000 of spending. This is an IT bug and is not true. It is not possible to earn a 2nd voucher in the same card year irrespective of whether you upgrade, downgrade or don’t touch your card. For good availability also consider some of the “niche” routes that don’t always appear on the Reward Flight finder – eg New Orleans or San Jose (Oakland was good but they are stopping that service) and be flexible. Also as Rob said availability does often open up – we booked Hong Kong with a just few months notice doing First/Club combo last year and so far have never had to do the -355 1am call! Any advice here, I need to book a 2 for 1 in 6 days time from Aberdeen to Montreal but will be in the Caribbean on a cruise. Because Aberdeen can’t be done online this causes a problem for calling the BA centre and the flights could be gone as I can’t phone till back 8 days later. I would have internet access so should I grab 2 Club World seats then add on Aberdeen on my return? If you have internet access then you can phone via Skype etc. Why do you say it can’t be done online? I just tried Aberdeen-Monteal online using a voucher and it all seemed fine. Thanks for that! Didn’t want to click redeem in case my trial lost me the voucher. Done so now so will book in 6 days. Yes, it’s the Lloyds upgrade voucher which requires a phone call to book a regional connection – I did this via Skype call in August, it was very easy! Are there any decent long haul routes which regularly open up more than the two club world seats closer to departure date? Booking 365 days in advance is sadly not an option for me. Unless you can get to the £10000 qualifying spend for the companion voucher within a month or so with the ba premium plus card I do not see the benefit of paying the £195 fee from the start of your membership year unless you are a new account holder and picking up the bonus avios. For the past few years I have had the free card and when I know I will be getting near to the £10000 qualifying spend I upgrade to the fee paying card, qualify for the companion voucher, and then downgrade to the free card. My “fees” tend to be about £25. You get 10000 avios with the free card when spending £10000 with the free card and 15000 avios with premium card for £195 if keeping the card for a year. 5000 extra avios is not worth the £195 annual. Why keep the card for a whole year when you can earn bonus avios/rewards with other Amex cards such as the Platinum/Gold/SPG card. ? Earn,qualify,cancel and repeat. It takes me about 3 months or so to hit £10k. I’m happy to pay £50 for 26k avios, the referral avios – usually now 18k MRs – and the 241 with churning. Kipto if everyone did what you did then Amex’s business would die. I’m thankful that not everyone follows your advice! Almost all of them. Play around with baredemptionfinder.com to see what is available on any particular route. Try it! Offer not guaranteed. Not SPG but probably BAPP. But useful for ShopSmall anyway. Referred my wife 3 weeks ago ( 9K Avios ), her card arrived 4 days later, left it 1 week and got her to manually add me on as her supplementary – within 2 days there were 3K Avios in her account. What stops you spending 9999 on the basic card then upgrading to BAPP, hitting the target and collecting the 2 4 1 and then cancelling for a pro rata refund? I’m not going to preach to you to stop exploiting in this way, but don’t brag about it so openly. Surely once too many people do it then the product will become unprofitable and Amex will be forced to drop the best credit card on the market? I get your point, but I think 99% of people just can’t be bothered or organised enough to do this! Even after 2 years of watching us jet off in CW (and F next year) 2/3 times per year, precisely none of family or in-laws have showed any interest in following my example! Fair point. However, it’s been openly discussed many times before including by Rob. I don’t personally engage in the upgrading / downgrading malarkey as cba and more beneficial by paying a few quid in fees. I think the additional risk of doing this strategy in the current climate, is that we know at some point the BA Amex offering will change, and as a knock-on of that, you could reach your £9999 spend, go to upgrade and find out the BAPP no longer exists. This is sort of BA Amex related. I used an offer on my card for a retailer a couple of weeks ago. The money back has credited on my account but the items haven’t been delivered. I’ve been chasing and it looks like they’ve gone missing in transit but no one at the retailer is taking responsibility for arranging a new delivery. I’ve lost patience and now want a refund and just want to check if Amex will reconcile the credit on my account to delete it? (It’s fine if they do but I don’t want any awkward conversations if they think I’ve abused the system). They won’t think you’ve abused the system as refunds are a normal thing. You’ll more than likely have the credit reversed although not always. What if 1nfrequent’s spend that is being refunded was the purchase that that triggered the voucher (by pushing spend over the threshold). When he gets the refund, would he lose the voucher? If one doesn’t turn up then the first ticket won’t be cancelled, but you can’t have both travel whilst splitting the flights. I wanted to change my the booking made with my redemption 2for 1, luckily I had still the card. BA call centre assistant said unless I had the card I booked ( got the voucher with) with she wouldn’t change it. Rubbish. What she actually said was that you needed to give her the original card number that you paid with to verify that you were the correct customer, otherwise this would count as a failure of DPA verification. At no point did she say you need the original BA Amex card on which you earnt the voucher. That information would have been useless to her. Here’s a little hint… BA (or any other retailer for that matter) has no way of knowing that the Amex you’re paying with is a BA one (or a Gold one or a Costco one or you get the picture…) All they know is that it’s an Amex. Even if BA know you have/had a BA Amex card, they can’t and won’t know the number of it – only Amex knows this. Basically the only time I fly BA CW anymore is on Lloyds or BAPP vouchers. Would be a dream come true if they allow them to be redeemed on non BA metal. This is also true if you’re using a Lloyds voucher, the lady will insist that you use the Lloyds Amex but you can use any Amex, and it doesn’t even need to be a card under the name of the person travelling. I’ve never been asked to use an Amex for the taxes, let alone the Lloyds one! You MUST use an Amex when redeeming a 241 as all other payment options are greyed out on the website. We were referring to the Lloyds voucher, though it’ll all be academic soon! She refused to make changes to the booking unless I had the same card I paid for taxes with in my hand! Glad I didn’t cancel in this case. I have achieved a 2 for 1 voucher within 5 months with the fee paying premium BA Amex card & immediately downgraded my card to the free one to save on the annual fee (get a pr rat refund). However I noticed that the £10,000 spend on the premium card has been carried forward onto the free BA card towards a 2 for 1 voucher when £20k is spent within a year. Is it normal that you can get 2 number 2 for 1 vouchers in a year this way or have Amex made an error? Isn’t that in the article?! Apologies Rob. Having read your previous articles in detail I quickly scanned this — hence missing the last paragraph. It’s seems very few read your articles through. Everyday these type of already answered questions are asked. And certainly the articles you have created over the last few years contain answers to just about everything. I know longer reply to this type of lazy question. All UK Amex seem to be contactless – the logo is next to 4 digit security code – I guess they haven’t updated the stock pictures in a while. My voucher is expiring in 6 months, but I’m not able to find 2-4-1 availability for a nice vacation spot. In my household, there is a BA Gold member. Can I somehow use extra BA gold availability to book my 2-4-1 voucher? Or Can he do the booking and add my voucher? I think even if he could, he would need to be one of the passengers? How nice are you talking? There are a few CW seats available for Bermuda, the Bahamas and Miami next April/May! I have an Amex Platinum and a BAPP card. I’m almost at £10k on my BAPP. Am I right in thinking that once I reach £10k on the BAPP card I can get the voucher, cancel my BAPP, get a pro-rata refund, book and pay on my Platinum? Once I’ve not held my BAPP for 6 months, I can reapply for the BAPP and bag the spend bonus and referral? Yes, Amex will warn you otherwise but it will work fine. I may, sadly, be in the position of having to change my travel companion on a 241 and while i understand a name change cant be made, if i call to cancel will they be able to rebook me straight away….i.e.see the seats are reallocated for Avios availability at the time and therefore, effectively, achieve the name change at the time of call? Has anyone gone through that process? There is absolutely no guarantee that the seats will be released in to reward availability. So it may not be that simple. For example if 6 reward tickets were made available, they were all booked including your two tickets. 6 reward tickets were available because hardly anyone had booked on to that flight. Then you cancelled your two reward tickets….. I expect that your two seats would only be made available as cash tickets only, not reward tickets. Anyway the system is probably more complicated than that; but ultimately there is no guarantee that your tickets will be made available for a reward flight. There’s obviously no guarantee but there’s a long history here of people who have had success, ie cancel reward seats and they immediately go back in the system as available reward seats. I appreciate there’s no guarantee and the circumstances etc, but my question was more on whether if, when cancelled, the system allowed the agent to see straight away to that they were still available as Avios and rebook, and if anyone had managed to do that successfully. I called and made an amendment to dates of travel which BA did for a cost, maybe £50 pp but they did say if I did not hold the credit card with the last 4 digits I booked the 2 for 1 with they would not do that. Which is nonsense because if your card has expired or was lost / stolen it would have been reissued with a new number. I think change of dates is fine……its a name change which requires the booking to be cancelled, which then makes the availability of them still being Avios flights an unknown entity until you’ve cancelled. I was wanting to know if anyone had done that using the 241 voucher and found that they could re-book straight away with a change of companion name if they were still available as Avios seats. the fear being they’d say they were available but the voucher takes x number of days to show again in your profile etc etc. Can I book Jersey – Hong kong outbound, and Hong kong – London as oen way and call BA to merge them for 2-4-1 voucher? Or do I need to go back to Jersey? Would be interested in knowing the answer as well.